Psychiatric hospitals have served as effective settings for some of the greatest films in history; it’s where Norman Bates went at the end of Psycho, and it’s where Jack Nicholson’s character rallied the patients in One Flew Over the Cuckoo’s Nest. These characters, including the cannibalistic Hannibel Lecter in John Harris’ Silence of the Lambs, and my own character Lizette Karlson in Adrift in the Sound came first from fiction. But how much of that fiction is based on fact? In my case, Lizette’s experience was based on observation and research. I was lucky to work with editor Tom Thomas, who has a depth of knowledge about the mental health care system based, in part, from his experience as a volunteer with the National Alliance for Mental Illness. He brought his practical knowledge to bear during the final shaping of Adrift in the Sound. 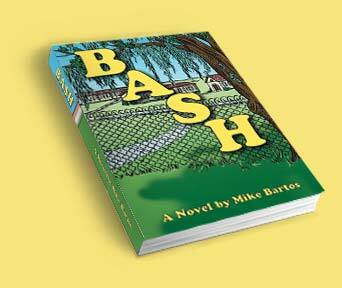 Mike Bartos, a psychiatrist with experience at a state institution for mentally ill patients convicted of violent crimes, and author of the new novel “BASH” (Bay Area State Hospital), www.mikebartos.com, says, what’s factual about these institutions depends on what kind of facility we’re talking about. • Bureaucracy: The state hospitals, being government institutions, are rife with bureaucratic confusion, Bartos says. These hospitals are inextricably linked to the legal system, which invites all sorts of problems if the goal is to meaningfully treat patients. “The reality is, when offenders straddle the line between criminal intent and questionable sanity, they can end up in a state hospital, which is part prison and part hospital. This is a difficult place to find healing. • Drugs: Many of his patients at the state hospital had committed crimes while in a drug-induced haze. “Really, we often have patients there who don’t have schizophrenia or bipolar disorder – they are criminals who may or may not have a problem with drug addiction.” In other words, many hospital patients are not so different from prison inmates; the biggest difference is they can be tempered with psychotropic drugs and therapy. • Violence: While not as bad as prison, state mental hospitals are often violent because of the criminal element. The majority of patients at state forensic hospitals committed crimes before their admission. This large percentage of convicts drastically increases violence in hospitals and results in staff requests for heightened security, which can be slow in implementation, and frequently considered inadequate by the people who work there. • Staff burnout: With limited state budgets and a high demand for professional support, state workers at hospitals work long, difficult and often dangerous hours. The result is less effective treatment. • A challenging population: A community of people with serious mental disorders or drug habits, and misplaced criminals – or combinations thereof – is quite a melting pot. Unfortunately, bad ideas and habits are shared, and instead of improving the mental conditions of patients, they tend to get worse. “Through my years of experience as a professional and as a human being, I know the very best medicine for mental health is love – whether it’s TLC from loved ones or truly compassionate care from doctors and staff,” Bartos says. 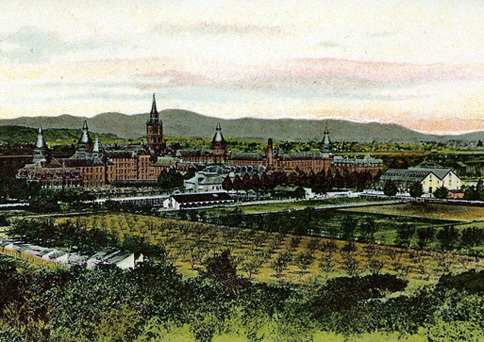 “Unfortunately, that is too small a part of the state hospital equation. Mike Bartos is currently in private psychiatric practice in the San Francisco Bay Area, where he lives with his wife, Jody. He has several decades of experience in the mental health field. More than a year after the death of psychiatric technician Donna Gross at the hands of a patient at Napa State Hospital, employees continue to demand for more staff and improved security at the state psychiatric institution to which most patients have been referred through the criminal court system. Labor unions have gathered employees on numerous occasions in front of the hospital on the Napa-Vallejo Highway to protest work conditions at the hospital they say remain unsafe. But the California Department of Mental Health a plan to overhaul its agency into a new Department of State Hospitals, wants to eliminate more than 600 positions statewide. 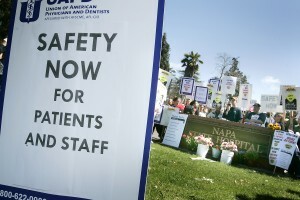 The Napa Valley Register reported that after the announcement, union representatives expressed concerns at the department’s plan to increase patient-staff ratios.